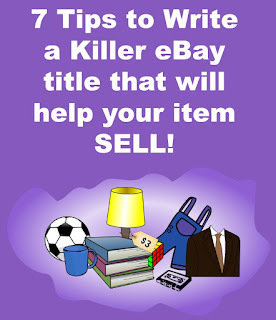 Writing a title for an eBay item is MUCH simpler than many people make it. In the beginning it takes a little thought but soon it will become second nature. I have actually seen titles that said "A++++ Very Good Condition" But how could anyone know from that what item was being sold? How would anyone find it? 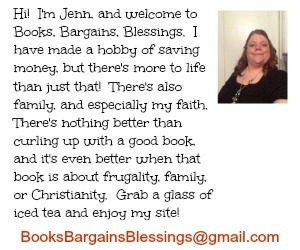 Here are a few things I have learned after eighteen years of selling on eBay. *Give basic information. Look at your widget. What color is it? Size? Year made? Is there a model number? These are often called "key words". * Look up the item in completed listings. This will allow you to see not only the selling price, but also if there are certain things words that help the item sell higher. Depending on the item, it could also give you hints as to what words people will be searching for that will help your item stand out amongst the crowd. *Think like a buyer. Some things are trickier to describe. Think of something that you remember from your grandmother's home growing up. An example might be a sequins wall hanging Christmas tree. I sold one of these recently in my eBay store. I described it in the title as someone might if they were telling a friend about a decoration they used to admire as a child. *Do a little research. On the above Christmas decoration, I did enough research to find out what the kit it was made for was named. But I used the "describing it to another person" as well in my title. *Remember that a number of people shop on their mobile devices. That means put your strongest keywords at the beginning as some devices won't show the entire title and you want your listing to stand out so that people will look at YOUR item. *Remember variations and mis-spellings. After the movie "The Santa Clause" many people started spelling Santa's last name with an "e" when really it is just C-L-A-U-S. If I am listing a Christmas item, I always add both spellings. The same for yearbook and year book. Cup and mug. *Leave out punctuation. This is not going to be something read by your 12th grade English teacher. Your title doesn't need to be a sentence, either. What you are aiming for is packing as many "search words" as possible. 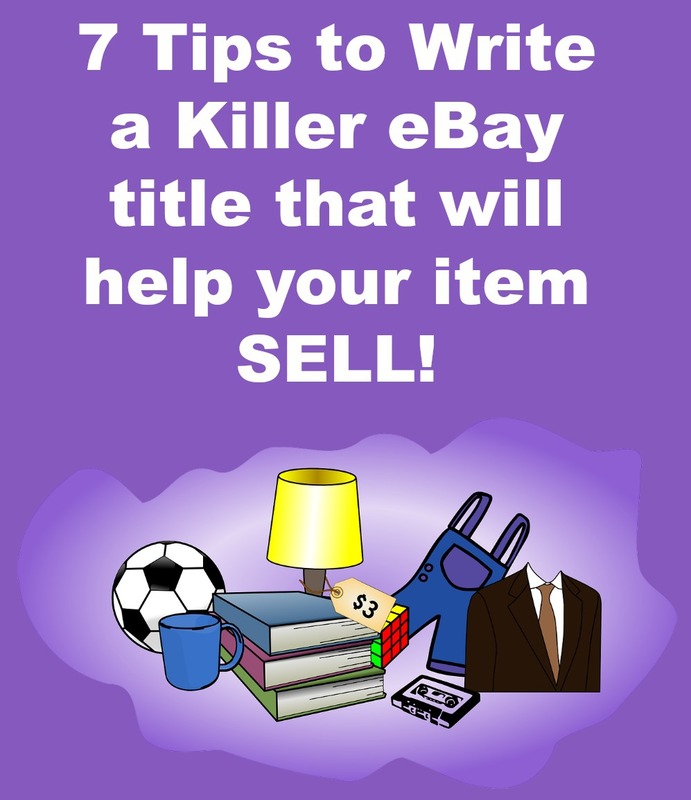 While not everything listed on eBay will sell, I can tell you that by following these seven simple tips, you will have a much better chance of selling your item! Excellent tips! I keep thinking about making a foray into eBay selling, and I'll be referring back to this post for sure!